Markt St Martin turned out to be a very small place and definitely no where to buy local maps. 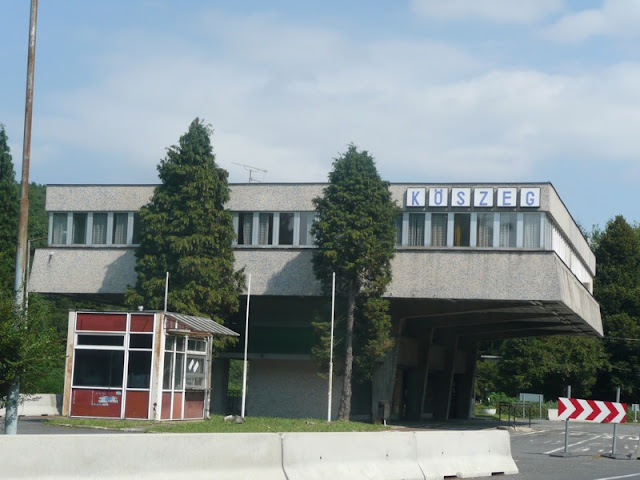 Decided to press onto Koszeg which meant walking for about 30 kilometres alongside the road or on cycle tracks that often ran parallel to the road. The walking was not memorable and it's a shame that I didn't get on the trail from Landsee the border (I assume this exists) and to the point at which the E4 hits the Blue Trail, somewhere to the west of Koszeg, and which I now hope to follow all the way to Budapest. The Blue Trail goes across the country from border to border and is claimed as the oldest long distance walk in the world. You can't help thinking about the Iron Curtain when the you cross the border, particularly as you traverse that space between the two border posts. The old border buildings on the eastern side look particularly soviet and have been left to rot. Not sure if this is deliberate. There is a really interesting project to create a cycle trail that runs along the route of iron curtain - a brilliant idea, would be a real journey through the modern history of Europe. Koszeg is a very pretty place once to get into it's centre and I'm staying in a hotel in one of the central squares. A lot of new pedestrianisation going on and the lovely, variously coloured stucco buildings surrounding the squares make it a great place to sit out and consume the amazing ice-cream you get here. So although I've arrived at Koszeg I intend to regard tomorrow rather than today as the start of the last chapter of my walk. 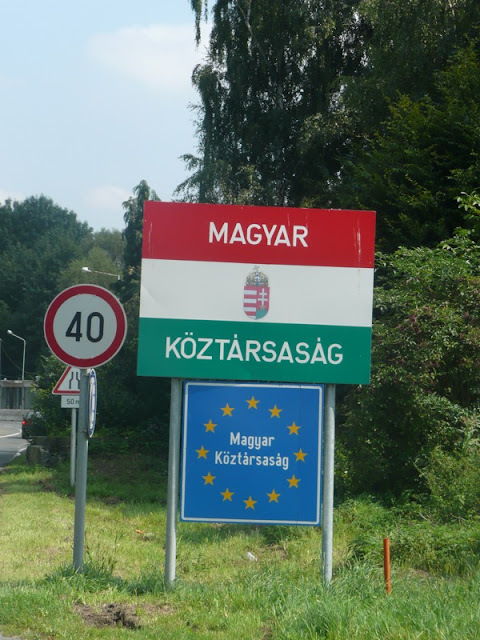 By road it's only 250 kilometres to Budapest, but along the Blue Trail, which meanders along through western Hungary is over twice as far. Intend to cover the distance in sixteen days so all being well will be getting ready to come home two weeks on Monday.